Hiccup (Jay Baruchel), Astrid (America Ferrera), Snotlout (Jonah Hill), Tuffnut (Justin Ripple), Ruffnut (Kristen Wiig), and the rest of the How To Train Your Dragon return in the third outing for How To Train Your Dragon. This time, they’re fighting for themselves and the fate of the dragons they’ve come to love. When a new threat, Grimmel (F. Murray Abraham), threatens to capture or kill all of the dragons, including Hiccup’s beloved Toothless, the gang from Berk have to fight back. After fleeing their home, they take a stand. What happens next is a tear-jerking ride. Today, we’re going to take a look at the leadership lessons in How To Train Your Dragon 3. There were plenty of leadership lessons you can find in this movie. I’ll discuss the lessons I saw and then ask you to share the leadership lessons you discovered. Guys, too soon. You always come in too soon. Hiccup and his friends were on a stealth mission to rescue dragons that had been kidnapped. During their raid, his friends broke from the plan and entered the fray too early. This caused their rescue mission to be compromised. They were noticed and had to fight their way out. It is easy to get excited about the plans you have. They’re going to help your organization grow and thrive. You’re so excited you want to begin implementing the changes immediately. There could be a problem with your early execution. The players in your plan may not be ready. You may not have thought of everything that could go wrong or right. Or you might not have the resources in place to carry out the plan. While launching early sounds great, be careful of launching your plan too early. It can backfire if you’re not ready. The plan for the raid was to be stealthy. We know this didn’t go according to plan. Rather than stealth, there was a lot of motion and commotion. This alerted the guards. The guards attacked and things got a little hairy. The Dragon Riders’ plans didn’t go the way they wanted. They had to improvise and change up what they had to do. You may believe you have the perfect plan in your head. Yet, when you go to execute the plan, things don’t go the way you envisioned them. Mergers may fall through. Financial backers may back out. People may leave your team. While things don’t always go according to plan, your vision can still be carried out. In How To Train Your Dragon: The Hidden World, the Dragon Riders still were able to rescue the captured dragons. You can still succeed even if the plan goes to pot. The Isle of Berk was a unique place. They had magnificent flying creatures you could see. They had fricken dragons, yo! This was a unique thing to Berk. No other area in How To Train Your Dragon would allow you to interact with dragons, just Berk. What can you offer that is unique to your organization? When I think of this, I think of Magic Castle Hotel. The Magic Castle Hotel offers something I’ve never seen anywhere else. Next to the pool is a red phone. You go to the red phone labeled Popsicle Hotline and pick up the handset. You hear a voice answer the phone and you get to place an order for your favorite flavor of popsicle. Soon, an employee delivers your popsicle on a silver platter. This has wowed thousands of people. You look at their online reviews and people rave about the free popsicle on a silver platter. You can find a unique offer to your customers as well. What will your offer be? Perhaps you rely too much on your dragons and not enough on each other. Valka is Hiccup’s mother in How To Train Your Dragon. She sees a dangerous trend happening with her son and his friends. Hiccup and his friends are beginning to rely heavily on their dragons. Their resources. The more they rely on their dragons, the less they’re relying on one another. In business, we are inundated with tools. From MacBook laptops to the newest Samsung Galaxy smartphone, we have a vast array of tools at our disposal. Relying on these tools are easy. They help us become successful and work more efficiently. There’s a problem though. We can rely on our devices and tools so much that we begin to forget the true connections we should be making. People are our greatest resource. Not only for finding success but also happiness. Don’t let your tools interfere with the relationships you need to be building as a leader. These relationships are invaluable. One day you’re going to pick a fight you cannot win. Hiccup had discovered Grimmel was stealing dragons. He was also going to come after Toothless and the other dragons. Hiccup was quick to jump into a fight. However, Gobber offered up a warning. Hiccup would one day pick a fight he couldn’t win. He had to be careful of the battles he chose. Are you careful with the battles you’re choosing? Or are you like Hiccup and willing to run headfirst into a fight without weighing the costs? Choose the battles you choose to fight. Some are worth fighting. Others are worth running from. And then there are those that aren’t worth doing anything about. Grimmel saw Hiccup as a young boy. No one to be bothered by. Hiccup wasn’t a leader. He was young. At least this is what Grimmel thought about him. He believed Berk would be an easy attack. Because of his thoughts about Hiccup, he underestimated the leadership ability Hiccup possessed. When, in reality, these same people hold an extreme amount of potential you could help unlock. Don’t look at their age or how you perceive them. Instead, look at what potential they may hold. Help bring this potential to the forefront. Help them unleash what is inside of them. Every time the Dragon Riders brought back more dragons, they painted a bigger target on their backs. Other cities and islands saw the number of dragons Berk possessed and this was a danger to those other people. Berk was painting a target on their back. As more dragons came, people saw Berk as a place that they could gain a dragon for themselves. Because of this, Berk became more dangerous. Success is good, as long as you’re going after the right kind of success. But being successful also puts a target on your back. Be ready to do battle with those coming after you. How To Train Your Dragon 3 introduced a new dragon: The Light Fury. This was a female version of a Night Fury, the kind of dragon Toothless was. Toothless fell hard for the Light Fury. He wanted to be her mate but didn’t know how to win her over. So, he began to study other mating dances and rituals. When he tried out these mating rituals on the Light Fury, he failed miserably. She showed no interest in what he was doing. What worked for other dragons didn’t work for him. Following the advice of those who have gone before you is great if the advice is applicable. Test out the wisdom you’ve gained from other leaders. See if it applies to you and your situation. Sometimes the advice will work. Other times, you’ll feel like Toothless. The advice will fall flat. Use what works. Discard what doesn’t. The Light Fury showed Toothless a powerful move. She could turn invisible if she flies through a plasma blast. This move heats her scales and they become extremely reflective. Toothless had never seen this done before. He didn’t know he could do this. There was something else he didn’t know he could do. Toothless could harness the electricity in the sky and supercharge his plasma blasts. He could then fly through the blast and become invisible during the day. This was a power he didn’t know he had. Yet, the power was locked away deep within him. He only needed to discover how to unleash his power. You have untapped power within you as well. You were created to do great things. Things no one else can do. Explore your power. Seek to understand who you are and what makes you unique. This is the key to unlocking the power within you. You will begin to learn what you do well and how you can do things better. Keep working on your strengths. You’ll discover you’re more powerful than you believed. Grimmel sought to kill or control all of the dragons. To control the dragons, he would inject the dragons with a serum that would allow him to control them and not the alpha dragon (Toothless). He gained his leadership through brute force and control. He didn’t allow the dragons a choice. Following him was the only option when they were drugged. There are many different ways to lead. You can lead through relationship building, emotional intelligence, or by example. You can also lead through brute force. What ways do you think are positive ways to lead? Relationships, EQ, and by example. These are the ways great leaders lead. Leading through force is rarely the right way to lead. You isolate your team and make them afraid. Be wary of using force to lead. He thinks he has to lead alone. Valka was a wise woman. She saw the danger of the Dragon Riders relying so heavily on their dragons. She also saw Hiccup going down a dangerous path. Hiccup believed he had to lead alone. He couldn’t have anyone by his side. Leading Berk was the responsibility of one man. Thankfully, Valka saw this. She was able to let Astrid know and make a change in both their lives. Leadership has often been a long, lonely road. It was once taught leaders were alone. They had to be everything to everyone. This idea of leadership is changing… And for the better. Leadership isn’t a solo sport. Leadership is a team endeavor. You cannot effectively lead by yourself. You need a great team around you. Hiccup had the other Dragon Riders and Astrid. Who do you have? Astrid loved Hiccup. She was one of his best friends. She also saw his many struggles. One of the things Hiccup struggled with was confidence. He believed he was nothing without Toothless. His dragon was what made him valuable. Losing Toothless shook Hiccup. He struggled to regain the confidence his dragon gave him. Yet his strength and ability to lead didn’t come from Toothless. He was a skilled leader with or without his dragon. You may believe you have to be completely confident in your ability to lead if you want to consider yourself a leader. 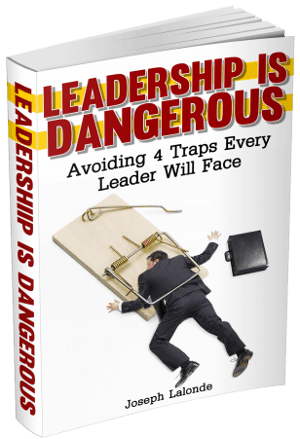 You may be struggling to call yourself a leader because you’re struggling with confidence. Don’t worry. There are many leaders who struggle with confidence. They believe they don’t have what it takes or don’t know how to accomplish the vision they’ve cast. Yet they still lead. You don’t have to be completely confident in yourself. Especially if you’ve surrounded yourself with people who believe in you. These relationships you’ve built up will help remind you that you have what it takes to lead. Know your confidence in your skills will waver. That’s okay. As long as you don’t let it take you out. Stress is not good for you. Ruffnut was captured by Grimmel. While held captive, she saw Grimmel was stressed out. She also knew stress isn’t good for people. It’ll wear you our and make you make mistakes. Are you stressed? If so, you need to do something about your stress. Negative stress isn’t good for you. Stress will wear you down and tire you out. Do something about your stress before it’s too late. How To Train Your Dragon: The Hidden World shows leaders a powerful truth. Great leaders are willing to let great team members leave the organization. Toothless discovered a new love and a world of dragons. These are two things he never had with Hiccup and the villagers of Berk. Toothless had a people and place he could go to and thrive. Hiccup had a choice. He could force Toothless to stay in Berk, with him. Or he could release Toothless to flourish in a new environment. Hiccup chose to be a great leader and let Toothless go. You’re going to build up amazing team members and new leaders. These people are going to have a choice. They can stay with your organization or leave it. The reasons they leave will be as varied as the people you leave yet they have to make a choice. You also have a choice to make. You can choose to try to hold onto these team members. You helped make them the success they are. Or, you could choose to be happy for the success they’re experiencing and rejoice as they leave the nest you built. Please, be the leader who rejoices in the new journeys your team members get to explore. Question: Have you seen How To Train Your Dragon: The Hidden World? If so, what leadership lessons did you take away from the movie? 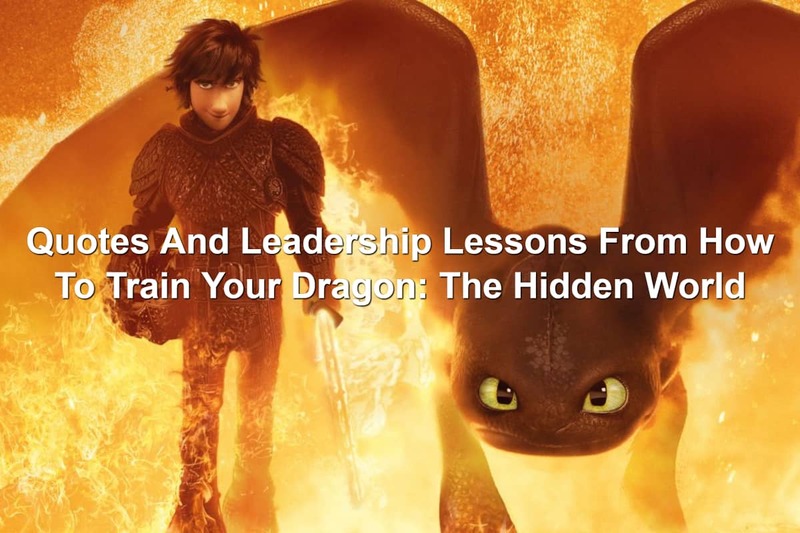 If you haven’t seen the movie, what Reel Leadership lessons from How To Train Your Dragon: The Hidden World did you take away? Let’s discuss them in the comment section below.